Well, Maya Maya Maya...Look How Old You Are. New radiocarbon data indicate the Maya began building their cities as early as 1000 BCE, according to Takeshi Inomata and his team of archaelogists from the University of Arizona-Tucson. Focusing on one site in particular, Ceibal (Guatemala), Inomata says it "predates other examples by roughly 200 years." 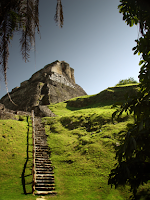 For years, archaeologists have postied that these Maya were influenced by the older Olmec civ...ilization, but a trend is emerging--one Inomata agrees with--that the sudden emergence of these vast temple complexes were the result of broad-sweeping cultural influence thorughout the entire region over a period of time. 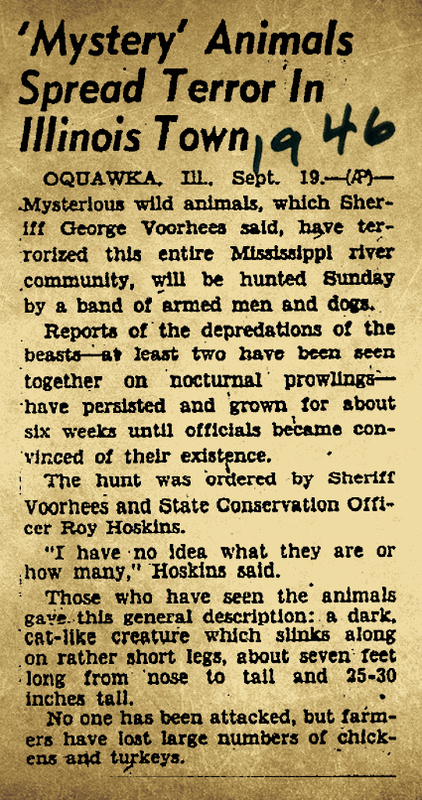 This begs one to ask for the other shoe to drop: what was the impetus for this wholesale shift in society from hunting-gathering to religon, agriculture, and massive stone constructions? 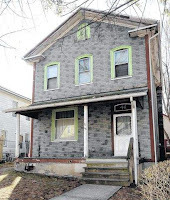 If you are in the market for a home straight out of the Amityville Horror, then the current owners of one nondescript two-story are claiming that is just what you will get when you purchase their delightful house of horrors in Wilkes-Barre, PA. 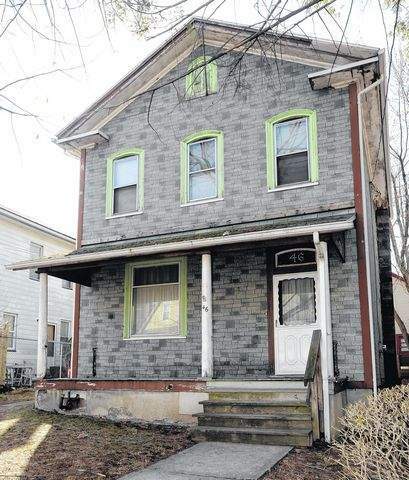 While I can see a house with a friendly "presence" being a draw for many, I have a harder time picturing even some ghost-loving folks forking over big bucks (well, actually only $30,000) to own what appears to be quite the fixer-upper. This becomes especially true if the home is fully equipped with a spirit that pushes people down stairs and manifests pools of blood. Apparently it does have quite the documented history though, including investigations by famed paranormalists Ed and Lorraine Wilson who investigated the Amityville case and will be featured prominently in the based-on-a-true-story film The Conjuring due out July 19. Although from what commentors on this article are intimating (nay, outright stating) the neighborhood in which this home now rests is actually the scariest thing of all. 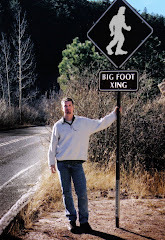 Elk Hunter's Snag Bigfoot On Video? 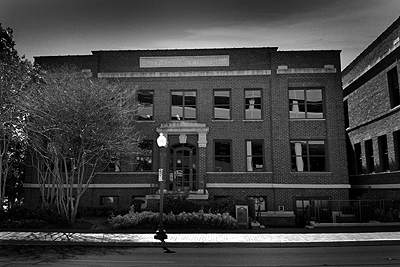 The Fort Worth Medical College was a teaching hospital for Fort Worth University established in 1894 and then later moved into the building pictured in 1905. Not long after, the hospital moved location again. Currently, it sits next to the famous Bass Hall and houses offices for the Fort Worth Symphony and other artistic and musical entities. Office workers have spotted the ghost of a nurse making rounds through the building. The area that once held the morgue is now office space as well and much activity as been reported in there as well. 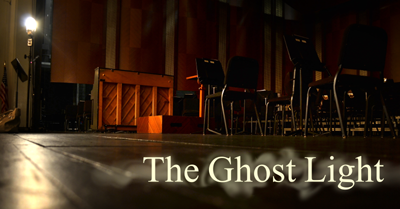 While its origins may reside in the more pragmatic realm of safety, the theatrical legend of the Ghost Light has some otherworldly explanations as well. To preface, a ghost light is a lamp left activated on a stage even when the house is empty and no performaces or rehearsals are being conducted. It's a bare bulb that burns for no one. Some say this is so no one hurts themself in a darkened theater by, for instance, tripping off the stage into the orchestra pit. However, theater people (a highly superstitious lot) believe the contraption and its name comes from the long tradition of burning a light for the resident ghost--every theater has one. And they're often considered good luck. Some traditions, though, hold that the light is burned to keep them at bay. I suppose it depends on how harsh a critic your resident ghost is. 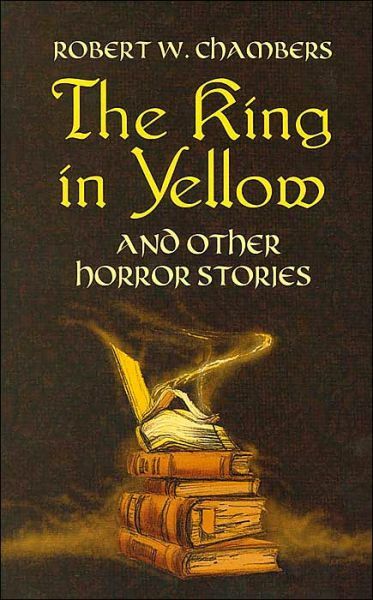 First published In 1895, The King in Yellow by Robert W. Chambers is a collection of short stories loosely connected by the presence of a banned book, an infamous stage play entitled "The King in Yellow." These stories describe the plights of certain sensitive and creative people who have fallen under the spell of this mysterious tome or the alternate, somewhat psychedelic, world that it describes. The stage play is comprised of two acts: the first of banal innocence, and the second of unutterable madness that can drive the reader to insanity or hopeless despair. It tells the tale of the mystical King in Yellow, who wears tattered yellow robes, the fabled city of Carcosa, the lake of Hali, and of the mystery of the Hyades. Some believe that this abominable book was the inspiration for H.P. Lovecraft's own Necronomicon, another book of sanity-shattering truths, though there is some controversy about whether Lovecraft had read Chambers before inventing the famous Necronomicon of the Mad Arab. The Yellow Sign is the symbol of the King, and when shown to the right kind of person - someone sensitive to it, either through madness or art - it reveals irresistable truths and ensures allegiance to the mysterious King of this otherworld. I showed him a list of thousands of names which Mr. Wilde had drawn up; every man whose name was there had received the Yellow Sign which no living human being dared disregard. The city, the state, the whole land, were ready to rise and tremble before the Pallid Mask. The time had come, the people should know the son of Hastur, and the whole world bow to the black stars which hang in the sky over Carcosa... I had a blank bit of paper in my pocket, on which was traced the Yellow Sign, and I handed it to him. He looked at it stupidly for a moment, and then with an uncertain glance at me, folded it with what seemed to me exaggerated care and placed it in his bosom. 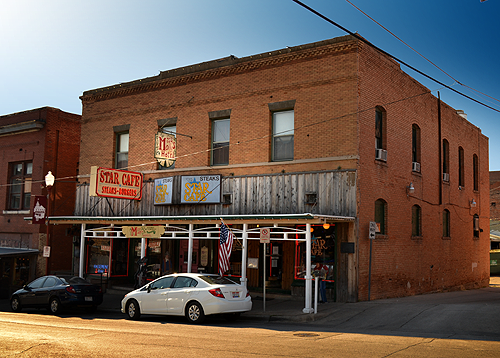 Miss Molly's Hotel, an historic B&B in Fort Worth's equally storied Stockyards is perhaps the most famous haunt for hauntings in cow town. Built in 1910 as the Palace Rooms, a respite for cowboys after a long saddled sojourn, it soon became a notorious brothel operating under the name Gayette Hotel and owned by a woman named Josie King. Surviving through prohibition as a speakeasy, the hotel garnered many colorful legends throughout the years. It is said now that Josie King herself still haunts the place. King's private room is haunted, of course. Mysterious apports (sometimes a penny "tip" for the lusty landlord) will appear. Investigators who combed the small inn's rooms met up on several occasion with the mysterious way in which doors seem to get stuck a lot. Humidity? Perhaps, but this is north-central Texas and it can get awfully dry here. 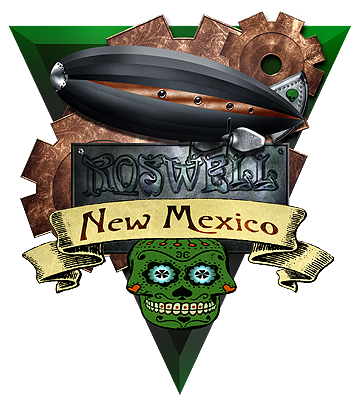 Various apparitions appear here and there. A reporter once saw someone dressed in 1920s attire at the foot of his bed. 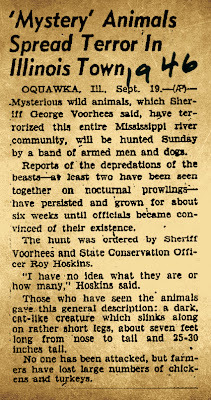 The ghost of a young girl, the daughter of one of the brothel's workers, has been seen at various times. 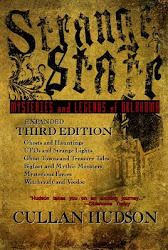 Outside, a spirit named "Jake" has been spotted along the street, walking between the stockyards and Miss Molly's. Interesting EVPs have been culled by disparate investigators, including one with a cackling voice that declares, "I've got you!" Tales from the Darkside, a twisted version of the cult classic, The Twilight Zone--which also saw a revival in the 1980s. HBO's The Hitchhiker wasn't so much about the supernatural as it was about the super sick, but it still managed at turn of the screw now and then. If you liked your pyschological horror tales to be as tight as your opening credit jeans, then these folks delivered. Freddy's Nightmares was in the vein of shows like Twilight Zone, Tales From The Crypt, and Tales From The Darkside but decidedly built upon cashing in on Freddy Fever. Even if it felt a bit cheesy, you have to give this show credit for at least trying to come up with unusual monsters instead of solely relying upon those we know all to well. And my favorite of the bunch... Friday The 13th: The Series stands out for its dark tone, strong scripts, and innovative horror. And if you don't think Warehouse 13 ripped them off, you can just go elsewhere. 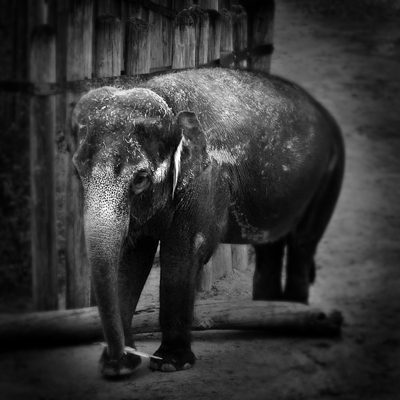 In January 1987, a zoo keeper named Michael Bell was killed by an Asian elephant named Sam at the Fort Worth Zoo. Over the years since, reports have surfaced of witnesses glimpsing Bell's ghost going about his normal routine. 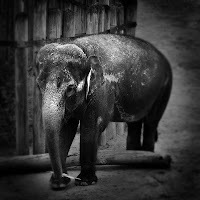 And he might not be alone at the zoo. There have also been reports of a woman dressed in frontier apparel who hangs around the zoo's café. 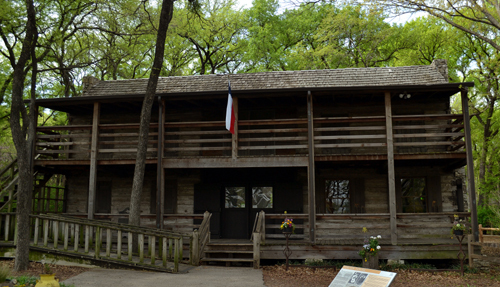 Fort Worth's Log Cabin Village is a conglomeration of six disparate historic structures dating to the middle of the 19th century. 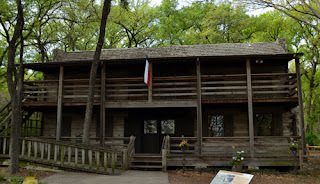 When they were moved in the 1960s for salvation and preservation, as well as to showcase frontier Texas life, some believe the homes came complete with attendant spirits. While docents and site operators are wont to downplay the ghostly rumors, the stories persist nonetheless. The phantom scent of lilac perfume has been reported from the upper rooms of the Foster Cabin, which once sat on the Brazos River in Milam Co. The home was built by Harry Foster in the early 1850s. After his first wife died, Foster married a woman named Jane Holt who had been the nanny to Foster's children. She is rumored to have worn lilac perfume. Footsteps have been heard in the home and some have spotted the apparition of a woman in a long black skirt and purple blouse.